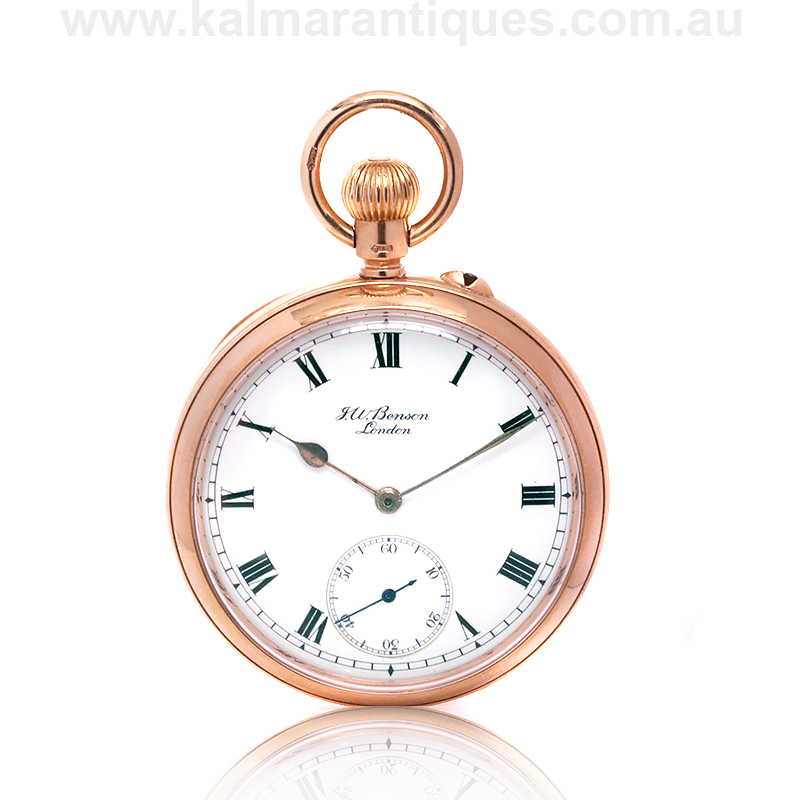 Product code: W1302 Categories: Sold Items, Sold Pocket watches. 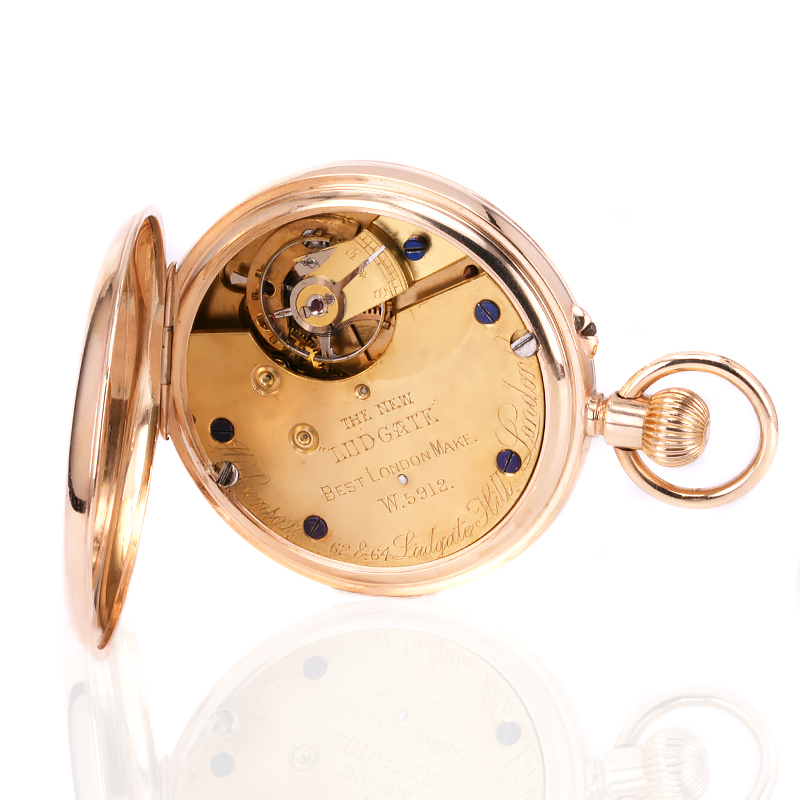 This 9ct gold antique pocket watch by JW Benson made in 1912 feels perfect to hold in the palm of your hand with the right weight and size to it and is in such good condition. Measuring 50mm across by 70mm to the top of the bow, this gents pocket watch has a lovely clean dial with traditional Roman numerals and the sub-seconds at the bottom, and is signed “J.W Benson London“. This prestigious watchmaking company actually has family roots in watchmaking that goes as far back as 1847. The company became J.W Benson in 1855 and were official watchmaker to the Admiralty & the War Department. Not only this, they also held a number of royal warrants, being watchmakers to Queen Victoria, the Prince of Wales, the Tsar of Russia and several other royal families. Inside the movement has been completely serviced and comes with our twelve month warranty, is a crown wind and pin set movement. This means that the pocket watch is wound via the crown at the top and when the pin is pressed in near the 1 o’clock position and the crown now turned, this will set the time. 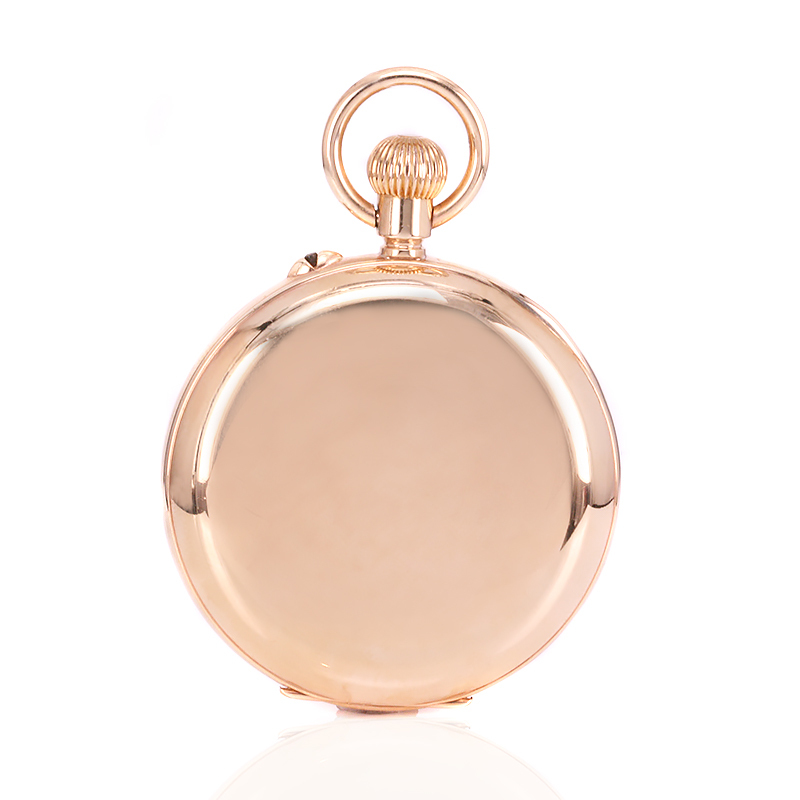 In wonderful condition with a wonderful rose gold case, this is a lovely example of an antique pocket watch that looks as good today as when it was made. Tags: Antique pocket watch, JW Benson pocket watch. S.S. & J.W. Benson. Indeed the the Benson family had been watchmakers since 1749. The partnership of S.S and JW Benson dissolved in 1855 and James continued the business under the name, ‘J. W. Benson’. He died on 7 October 1878, aged 52 and his three sons James, Alfred and Arthur took over the running of the business. JW Benson was official watchmaker to the Admiralty & the War Department and also held a number of royal warrants, being watchmakers to Queen Victoria, the Prince of Wales, the Tsar of Russia and several other royal families.